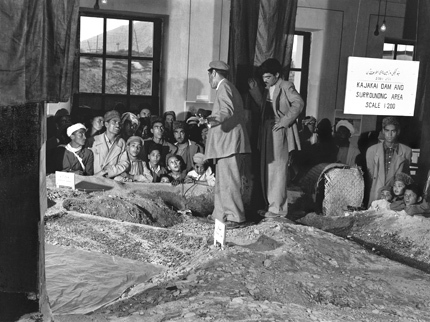 In Small Things Remembered » The Helmand Valley Authority (HVA) Exhibition Building at the 1958 Jeshyn Fair. a. 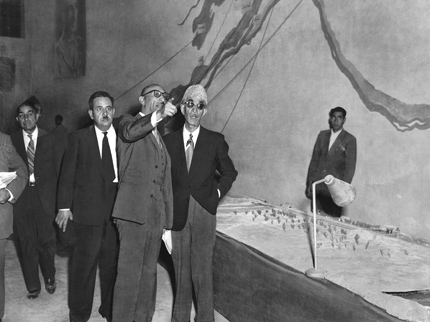 King Zahir Shah on an official tour. 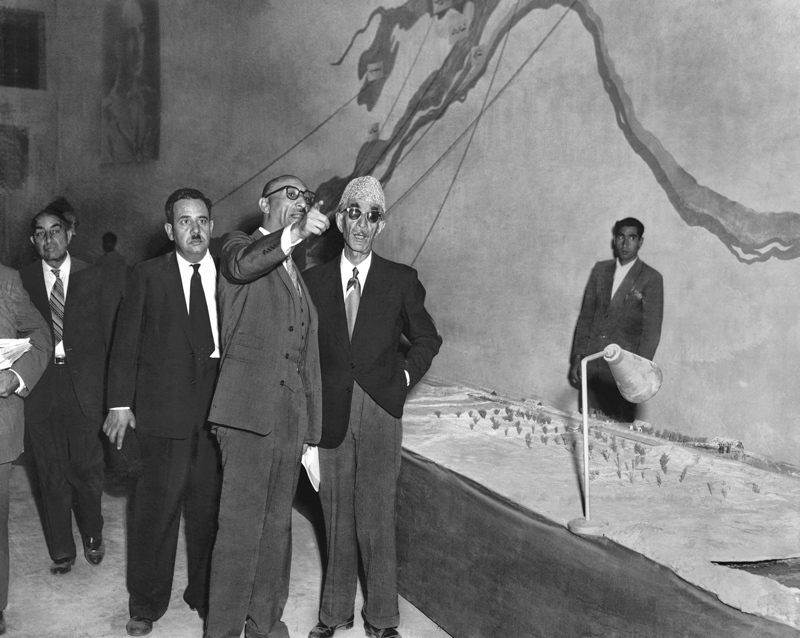 President of the HVA; the King; and Shah Wali. b. Afghans admire a model of the Kajaki Dam. general public and more than a few Royal visitors. Courtesy of the National Archives Still Picture Unit. 286-C-2-1. Courtesy of the Cudney Collection. Photographs by James A. Cudney.